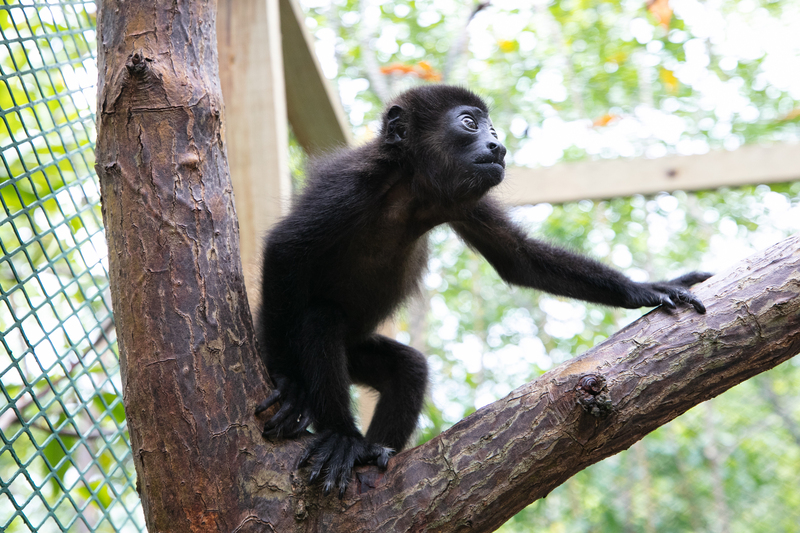 Make a positive impact in the lives of our resident monkeys today! We pledge that 100% of ALL donations will go directly towards covering the monkeys’ expenses and improving their lives. By their expenses we mean: food, vet check-ups, vaccinations, transportation, enclosure maintenance, and environmental enrichment. Nothing else. Zero percent of your donation will be used to cover administrative costs, employee salaries, fundraising efforts, to fund a project, or any other things besides strictly the monkeys’ expenses. Why is your donation so important to us? Structures deteriorate much faster on an island, especially since everything here is built over the water. That means we need to continuously renovate, and maintenance expenses are high. 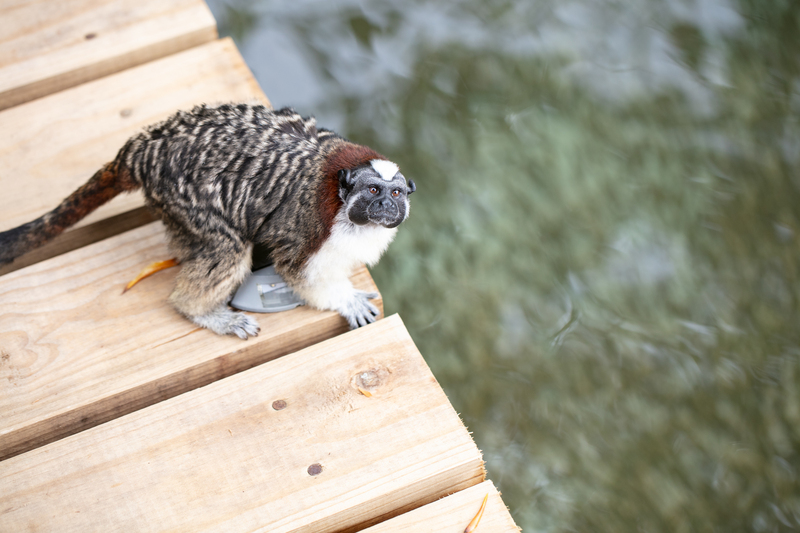 Being far away from civilization is great for the monkeys, but it’s difficult for us when it comes to purchasing supplies and bringing them to the island. 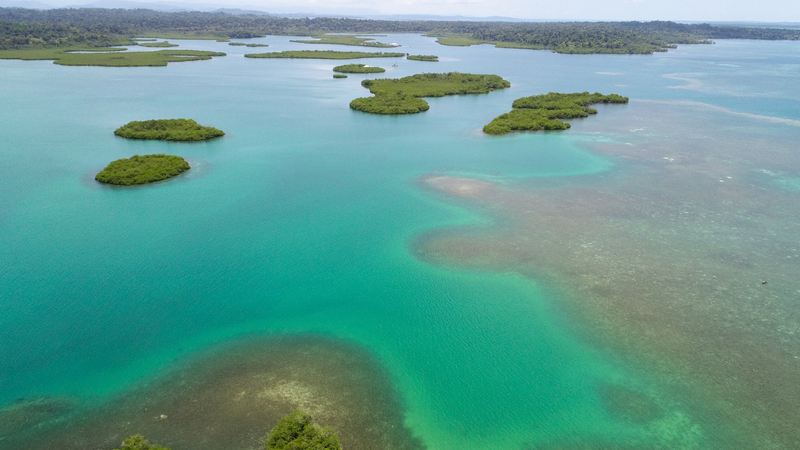 Anytime we need to purchase something, we must go on a 35-minute boat ride to Isla Colon (the nearest town, also an island). Many times we need things which can only be found in the city of David (which is a 45-minute boat ride to Chiriqui Grande, plus a 2-hour taxi ride). 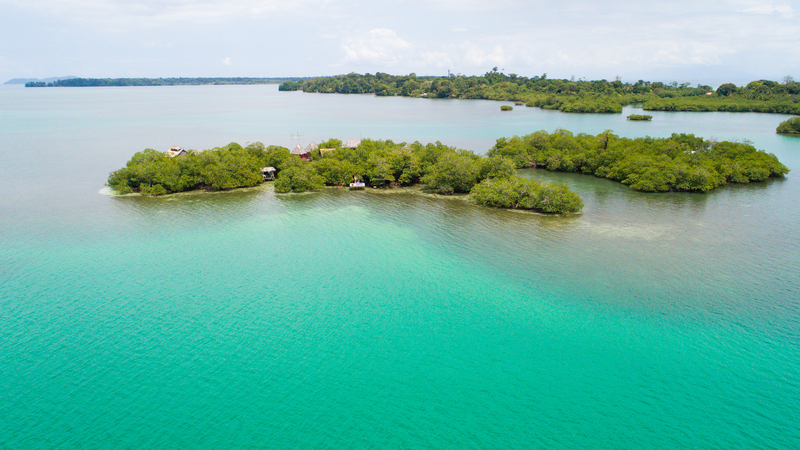 The cost of everything we do increases considerably because of transportation; some examples include grocery shopping, bringing construction materials & supplies to the island, and regular visits to the vet. Life expectancy is 13 years for Geoffroy tamarin monkeys, 20 years for Squirrel monkeys, 20 to 25 years for Mantled howler monkeys, and up to 40 years for Capuchin monkeys. We have a lifetime commitment with each monkey we rescue, therefore we must not only provide for them in the present, but also secure funding to afford their future needs. How can you support this cause? Raising awareness on the importance of standing against the illegal wildlife trade, and keeping wild animals as pets. Monkeys look cute at a young age and although you might believe you can handle the responsibility, monkeys develop strong personalities when they reach maturity and are sometimes impossible to control. After a lifetime of living as a pet, the monkey will not be able to survive in the wild. Monkeys deserve a life surrounded by others of their kind, in their natural habitat; they are wild, smart, and social beings who need to be part of a social group to excel at being monkeys. If you have any ideas or projects in mind to help create awareness and advance this cause in your school or local community, please get in touch with us. Of course! The possibilities are endless. Let us know if you have any ideas to contribute, collaborate with us, or raise awareness together. You can also become a sponsor, and/or join us for an educational tour at the foundation.